Summary: On the day Liz Emerson tries to die, they had reviewed Newton’s laws of motion in physics class. Then, after school, she put them into practice by running her Mercedes off the road. 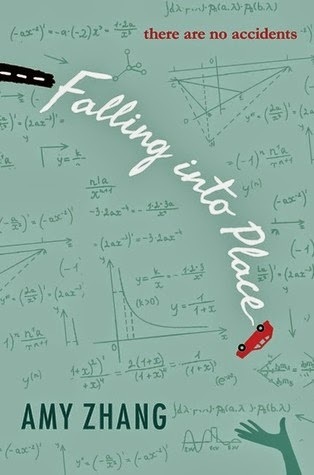 My Thoughts: Boy, oh boy have I read some amazing reviews for Falling Into Place! And while I enjoyed it, I was hoping it would be a 5 cupcake rating for me. We are introduced to Liz who thinks she deserves to die. She’s not a perfect person, she’s made her fair share of mistakes but she thinks the world would be better off without her. Sadly, she doesn’t realize all the people that her death would affect. I liked learning about Liz and what made her tick. I also loved the scenes with the mysterious boy. I really adored him and the way he saw Liz and her life. I also liked seeing how her friends and boyfriend took everything. And her mom. Most of all, I loved how the story was written. I felt like I was looking inside her head the whole time, even though I was seeing things from the outside. I thought this one was quite good, I liked learning more about everybody in the story, and I liked all the little details about gravity, motion, etc. Overall: I’m not sure why I didn’t give this one 5 cupcakes. As much as I enjoyed it, I felt like I couldn’t connect to the whole thing. At times, I just wanted to know the ending and didn’t really care about reading the middle. Yes, this story is about hope, and love, and it was beautiful! I would recommend it, a solid debut! Cover: Love it! Its kind of plain but in a good way! I’d pick it up in a bookstore just to see what it was about! This book has a very original cover with all the psychics formula's!